Although the television fare offered to the french audience came mostly from Radio-Canada studios, the need for contents were huge. A quick calculation confirms it. With six hours airtime per day (as was the case in the 1950s), Radio-Canada had to provide over 2000 hours of programming. In addition, a major part of this production had to be broadcast live because no reliable recording means existed. Cinema was an obvious supplement to television schedules. But french being the language of Quebec, sources of original French-language content were extremely rare. "France Films" a locally owned french film importer and distributor, had become the preeminent actor in that film market segment during and after the war. As programming director, Jean-Paul Ladouceur had regularly dealt with this important supplier. Long standing professional links had been established. If one adds the deteriorating employment climate left by the Producers strike of Radio-Canada, the opportunity of ​​changing job found a fertile ground for Ladouceur. 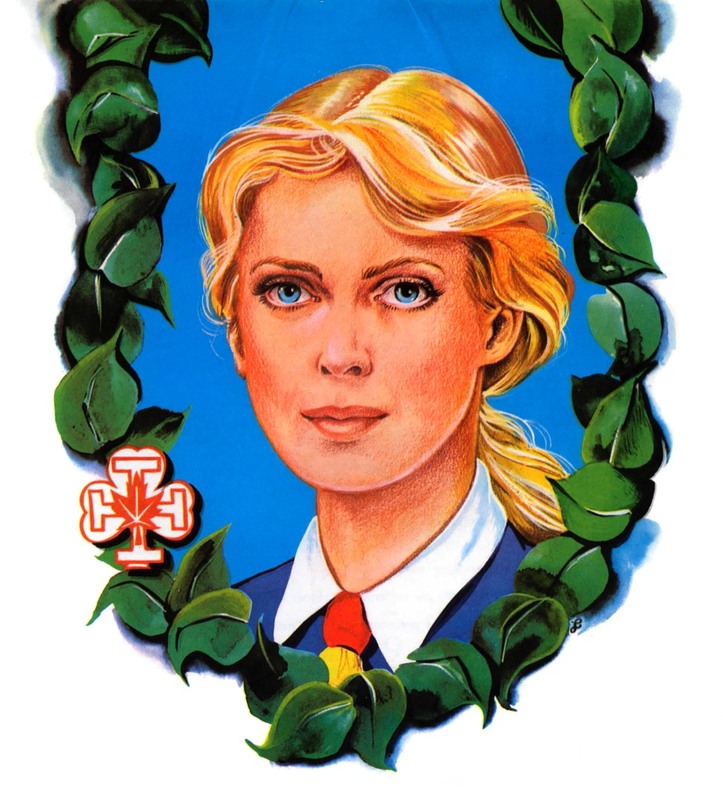 For four consecutive years, Ladouceur illustrated the Catholic Scouts and Guides calendars each time using a different treatment. Alexandre DeSève, France-Film president, hired J. P. Ladouceur as artistic director. The well-informed businessman wanted to obtain a license to operate a second French television station in Montreal and took advantage of the availability of former Radio-Canada heads. As a France Film employee, Ladouceur devoted part of his time viewing and editing films segments for popular TV serials. But Mr DeSève wanted him to join a select group of collaborators write an application for a new french TV station in Montreal. During summer vacations and much of his spare time, he worked on yearly calendars for the Canadian Catholic Scout Federation and for the Federation of Catholic Girl Guides of Canada. He helped enhancing the visual content of "L'écho de Saint-Francois" monthly magazine and discussed an elaborate book project with Father Pierre Hébert on the writings of the Saint-Francis. With his team of specialists, J. A. DeSève had the documents and studies he needed to make his bid and apply for a TV licence to the CRTC (Canadian Radio-television and Telecommunications Commission). The expertise of J.P. Ladouceur was invaluable for the analysis of organizational aspects and the proposal of a balanced TV schedule. His graphic training helped him setup the look of written documents and prepare the slide show that was submitted to judges. After careful consideration, the Télé-métropole (TM) project was approved by the CRTC. TM became the first private French-language television broadcaster in Montreal, Quebec and Canada. During the summer of 1960, Jean-Paul enjoyed a one-month trip to Europe accompanied by his wife and close friends. They toured southern France and the northern Italy. Upon his return, he illustrated another calendar for the Canadian Federation of Catholic Boy Scouts and Girl Guides of Canada. 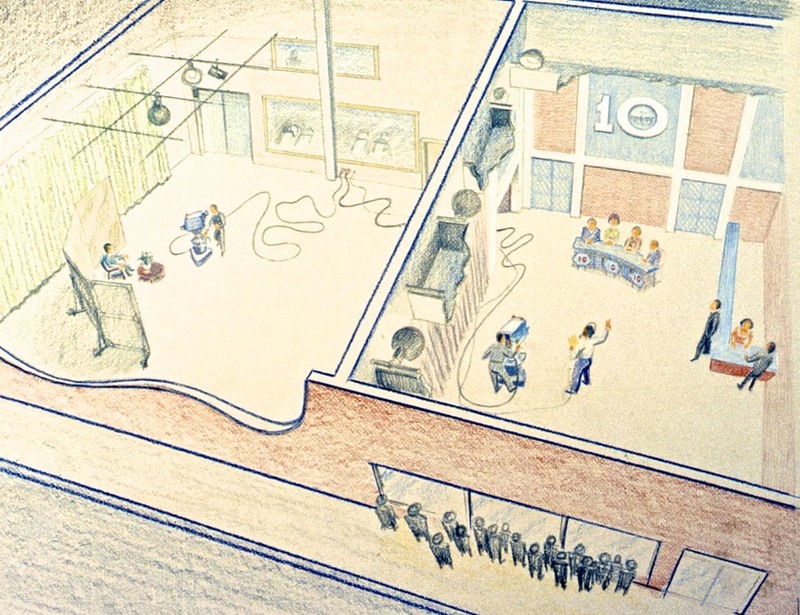 A Ladouceur drawing to show the versatility of the lobby of the new TV station to be used as an extra studio. 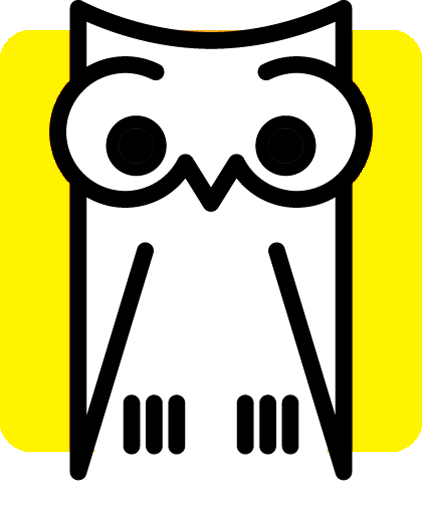 It was shown to the CRTC at the application for a TV license. Among his most beautiful drawings, the illustrations he made as an homage to St-Francis of Assisi for the Capuchin Fathers with whom he had a long relationship from the 1940s onward. As intense activity reigned in the studios under construction on Maisonneuve Street aiming for the February 1st opening of Télé-Métropole, Jean-Paul Ladouceur assumed the position of Programs Director. 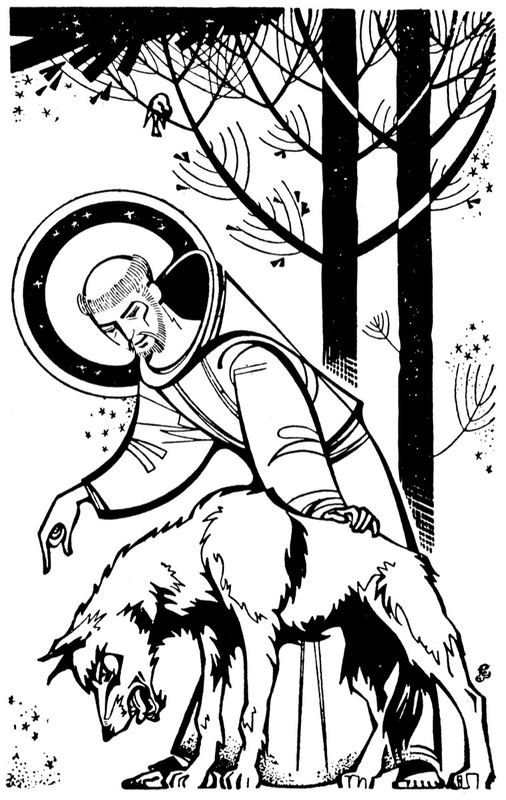 Despite his daily responsabilities, he produced several drawings for the Capuchin Fathers and for his last calendars for the Canadian Federation of Catholic Scouts. Tele-Métropole's first year of operation was difficult. The new broadcaster had to make many adjustments. In order for TM to reach its audience targets, the original scheduling had to be overhaules. Jean-Paul Ladouceur flanked by Robert L'Herbier, his assistant, had to try new strategies to satisfy the public's expectations. Balancing news, sports, cultural and popular content on a weekly schedule was a difficult equilibrium to achieve. Many popular shows used a magazine format which required many columnists. On Bon weekend, many talented Ladouceur came to talk about his travels while showing his own slides, on Capitaine Bonhomme show, he answered young viewers questions while drawing quick sketches for clarity his answers. In the summer of 62, he illustrated a picture book titled Journal de Cécile Murat by J. Alphonse Deveau published the following year. In early spring, he traveled around the world on BOAC. He brought a thousand 35mm slides back from this month long trip to fill the needs of his TV segment devoted to travel. He spent some personal time to plan and layout a new home for which he drew plans and made detailed models. In another area, he explored the qualities of acrylic paint as he designed a mural painting for the living room of his new house. He also found a renewed interest for watercolor, while he still devoted considerable time working on a book project for the Capuchin Brothers. And last, his family members shared the remaining moments. 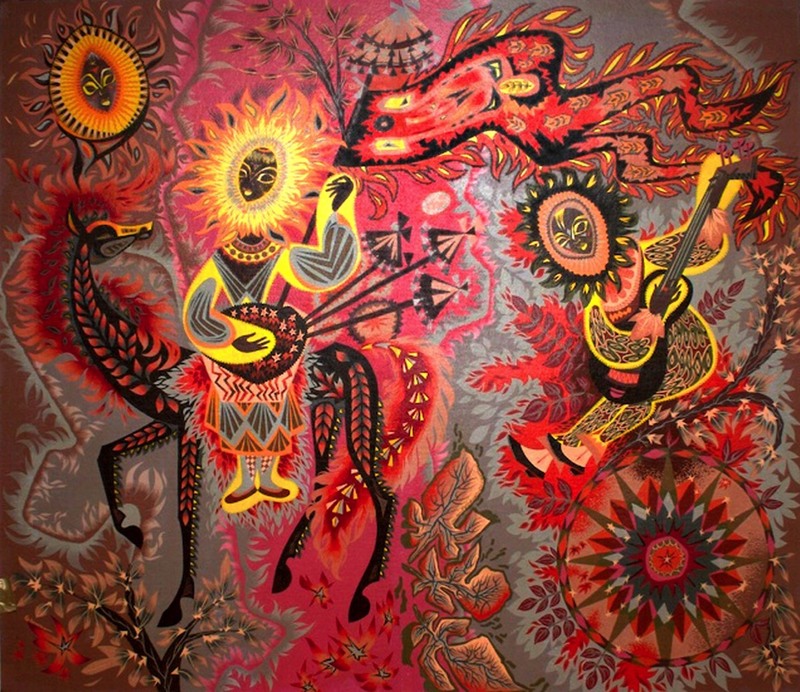 The Minstrels of Helios - mural painting, 215 by 240 cm, painted for the living room of the new home the Ladouceur family moved to in 1963.